OK, we are not superheroes. Nor world leaders. Not even self-improvement gurus. But we wanted to create games and meaningful narratives that educate, inspire and empower people. We saw the advent of VR as an opportunity to do this. Because of its immersive nature, the medium offered a playground for creation of realistic experiences and what is better for learning than the actual experience itself? Moreover, we knew that because the act of gaming itself would not feel like being in a classroom (Bueller, Bueller, anyone, anyone), the learning would happen invisibly, in the moments when the player is utterly immersed in a pleasurable action. And there we were, on a mission to support the findings of experts and prove one more time that gaming is good for you to a broader audience of keen gamers and early VR adopters. When we started working on our first game in VR, Fairvalley, we had no clue how we were going to achieve our ambitions. Initially, we brainstormed ideas about how we could explore the possibilities of VR in various mini games. Some of our choices created interesting problems for us to resolve. For instance, since Fairvalley is a fairground-inspired experience, creating a rifle range within the game seemed like a logical addition. However, shooting animals, even obviously fake ones, didn’t quite sit right with us. How could we possibly avoid the negative connotations of the act of shooting? The solution was staring us in the eyes - why not keep the gameplay almost the same, but twist the goal a bit, so instead of giving a negative message, the player’s actions would trigger a positive action? By changing the game goal to shooting the ‘bad guys’ and causes of climate change instead of animals, we turned this experience on its head. Protecting the animals felt great and, best of all, we did not have to take away a great shooting/gaming activity. By choosing this path we immediately felt more inspired to add more content - we started with the Arctic region environment, and future developments will include the Amazon forest region as well as the African Savannah. Pick up the rifle your hand, and shoot ‘em all, shoot the modern world’s dangers. It was great to create a game with subtle environmental message as well as fun mechanics that keep the players entertained but we did not forget that gaming is a personal experience more than anything. We wanted people to feel good about themselves, to improve their skills in a physical activity, to undergo training that could be achieved in VR and VR only. Even better, what if this training was for a skill that players found hard or maybe even impossible to learn in real life? We thought deeply about what this activity should be about, but, luckily, an opportunity presented itself. Since (our technical director) Morgan was very eager to impress everybody with his juggling skills, we both thought we could give him the digital canvas for experimentation, trial and error to create a unique juggling tutorial. From a spectator experience, this feature grew to become a real learning and enjoyable lesson. Although juggling is difficult to learn as juggling balls fall too quickly in reality, we made them fall much more leisurely in VR. We combined this with easier catching plus fast ball retrieval and we found that we could make a difficult skill much more easier to acquire. Two, three and four balls - it seemed like all challenges are pretty much achievable in the VR world - best of all, without the cost of broken vases and angry flatmates! Oh, and Morgan does juggle a lot better now. And what have we learnt so far on this VR journey that we have undertaken? We questioned the notion that style and substance cannot live in harmony together, decided to take risks by taking ‘the road less travelled’, and most importantly, we learned that whatever you do, you need to have a broader vision about why you are doing it and who would benefit from your work. 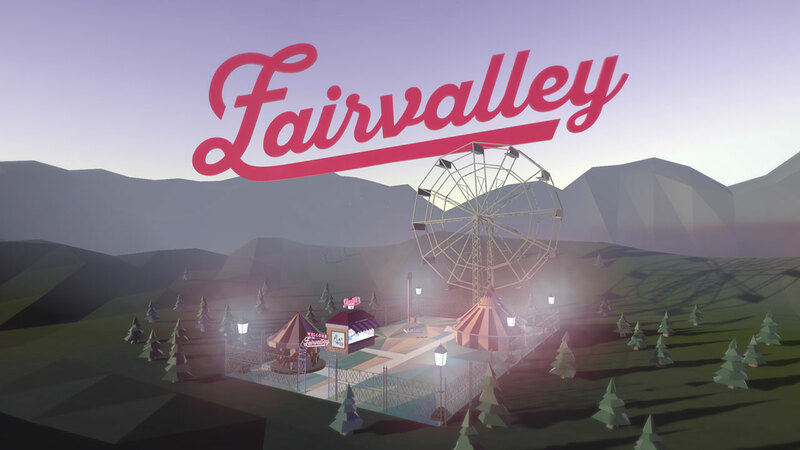 Although Fairvalley is still in progress, we are both confident that it is on the right track of achieving our initial goal - to make people feel good about themselves and the world, but most importantly - to spread the goodness via the medium of VR gaming.